The Dr Shezad Malik Law Firm is currently accepting Invokana injury cases nationwide, including California, Florida, Illinois, New York and Texas. If you or somebody you know was diagnosed with diabetic ketoacidosis, or kidney failure after using Invokana, and you live in California, you should contact our attorneys immediately for a free case consultation. Please use the form to contact our California Defective Drug Litigation Team or call us toll-free 24 hours a day at (888) 210-9693. Johnson & Johnson’s Janssen Pharmaceuticals unit manufactures and distributes Invokana (canagliflozin), for folks with type-2 diabetes, to control their blood-sugar levels. The FDA approved Invokana in 2013, and Invokana was the first medication in a new class known as sodium-glucose cotransporter-2 (SGLT2) inhibitors. Other members of this class include Farxiga, Invokamet, Glyxambi, Jardiance, and Xigduo XR. Invokana is the most widely used of the class. These medications prevent hyperglycemia (high blood-sugar levels) by allowing the kidneys remove excess blood sugar via the urine. According to a report from the Institute for Safe Medication Practices (ISMP), Invokana has been linked to hundreds of severe adverse events. 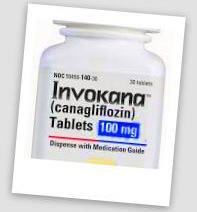 In May 2015, the FDA issued a Safety Communication for all drugs in the SGLT2 inhibitor class, including Invokana, after receiving 20 reports of patients who developed diabetic ketoacidosis. All of the victims were hospitalized between March 2013 and June 2014. The FDA has continued to receive more reports of this side effect. New warning labels will be required for Invokana, Invokamet, Farxiga, Glyxambi, Jardiance, and Xigduo XR, which urge patients to look for signs of the DKA condition and to seek immediate medical attention if symptoms are present. According to the European Medicines Agency (EMA) warning issued in June 2015, SLGT2 inhibitor diabetes drugs have been associated with 101 cases of diabetic ketoacidosis worldwide. If you or somebody you know in California was diagnosed with diabetic ketoacidosis, or kidney failure after using Invokana, you should contact our attorneys immediately for a free case consultation. Please use the form to contact our California Defective Drug Litigation Team or call us toll-free 24 hours a day at (888) 210-9693 ext. 2.